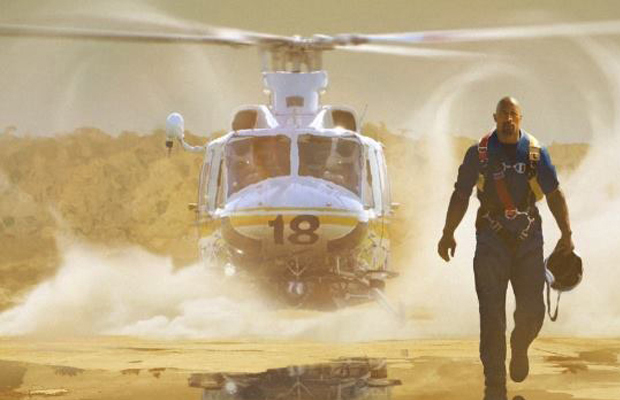 Dwayne Johnson has shared the first image from his upcoming earthquake disaster movie San Andreas. The 3D action adventure also stars Percy Jackson: Sea of Monsters’s Alexandra Daddario and Johnson’s Faster co-star Carla Gugino. Directed by Brad Peyton (Journey 2: The Mysterious Island), a rescue helicopter pilot (Johnson) sets out to rescue his estranged daughter (Daddario) after a massive earthquake hits California. New Line Cinema will release San Andreas in 3D and 2D theaters on June 5, 2015.